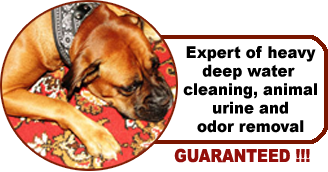 ANIMAL URINE & ODOR REMOVAL GUARANTEED !!! Handmade wool and/or Silk area rugs are meant to be walked on-and are durable enough to be cleaned with care. Over time, dust becomes embedded in the fibers of a rug, even when the piece hangs on the wall. Fringes can become soiled and disheveled, and colors can become dull under an accumulation of dust and dirt. We recommend cleaning your rugs once every 5 years. If your rug is placed in a high-traffic area, you may choose to clean it as often as every six months or more. It’s important to know that damage can occur with improper cleaning. That’s where the expert cleaners come in. Our professional rug cleaning department is the best in the local industry, skilled with decades of experience with both new and antique rugs. We are experts in heavy deep water cleaning. Pick-up and delivery service is available for an additional fee. Please call for details and estimates. Professional cleaning will preserve and enhance the look and value of your rugs, giving you years of enjoyment. Repairing or restoring your decorative or antique rug is essential in preserving its beauty and value. We have years of extensive experience in providing the skilled care necessary to preserve your hand knotted rugs including family heirlooms, collectable antique rugs, woven kilims, Navajos and needlepoint rugs. We determine our process by taking into consideration your rugs origin, period of craftsmanship, fiber content and dyes. Over a century of excellence, Bakers Rug Service has been servicing all types of rugs from all over the world. We have been the trusted name servicing the State of Florida. All our employees are fully trained with years of experience. All our services are guaranteed to provide customer satisfaction. We offer the largest selection of hand knotted antique, semi antique & new rugs at wholesale prices. Dura Hold Padding for all you area rugs.